My top tips and packing essentials for embracing a road trip adventure! I’ve just had my first shower after spending 5 days living out of a camper van and my god that felt GOOD. If you’ve never lived out of a van, it’s easily compared to the likes of camping / festival living. You’re living good, you’re living full but you’re living on the bare minimum and the moment you step back into your home comforts you appreciate every single one of them. If you embrace van life completely (beach showers, bush sleeps and ocean dips) then you are absolutely going to feel at one with nature. We definitely did, to the point that one night we parked up in a forest and heard wild pigs outside our door. LOL! Living on the road really is an adventure like no other. I just love that feeling of waking up, sitting out of the back of the van with a cup of tea and having no idea what coming your way. That is, if you road trip like we did, with a direction in mind but no set plan. Having no pressure on time or immediate destination allows for all the unexpected detours, surprises and discoveries. For me it’s usually these moments that make the best memories. Get your playlists downloaded beforehand in case you lose signal – you don’t want to lose the tunes! 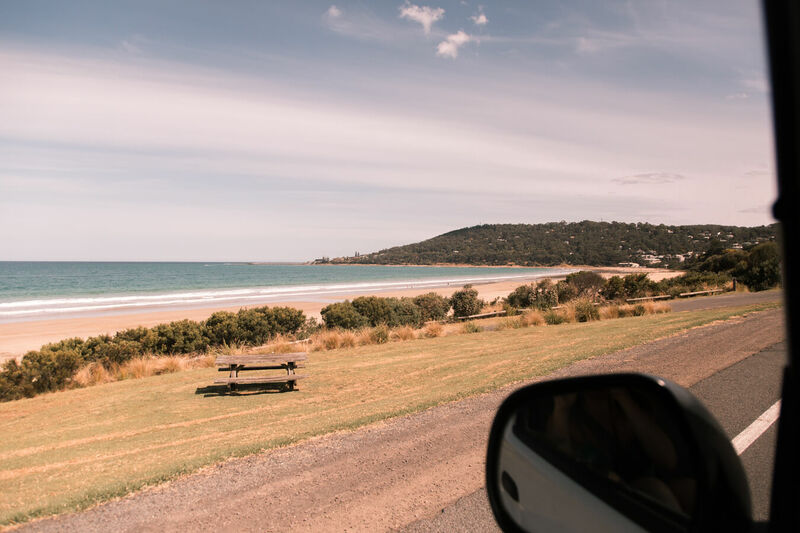 You may already know (if you’ve been with me for a while), that I’m a Herbal Essences ambassador and so of course the collections have accompanied me on all my Australian adventures thus far, including this road trip. It’s an absolute no brainer for me to work with a brand whose values and product story completely aligns with mine. Both Herbal Essences as I are about embracing adventure, letting life in in as many ways as possible and experience life with that something extra. When it comes to adventures that are a little more rough around the edges (like this road trip) having Herbal Essences not only gives your hair a new lease of life, but the fruity immersive experience that Herbal Essences are so well known for bring you straight back to life. Even after a dodgy night’s sleep. Top tip: When you run out of shower gel, a touch of the shampoo is the perfect fruity relief! On this road trip (and for my whole Australian adventure) I used the brand new Passion Flower and Rice Milk bio: review collection which has nourished my hair and given it the support required when exposed to the change in climate, waters and activity. When heading out on the road, be it in a car or a camper van, space is of course limited and so you must pack wisely and selectively. Long trousers to sleep in as even in Australia the temperatures dropped at night and it got pretty cold! Sunglasses – avoid the squint and make your life easier and safer on the road! Instax mini – capture those memories! 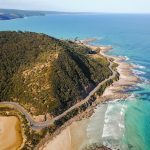 The road trip we just completed was down the Great Ocean Road in Victoria, Australia – an adventure that was previously top of my bucket list with the Red Centre. Filled with winding roads that hugged the coastline for miles at a time before turning off and ducking between rainforests, national parks and countryside. It was a stunningly diverse route choice and I would highly recommend adding it to your itinerary down under. My guide to the Great Ocean Road is coming this week – stay tuned! Have you experienced van life?